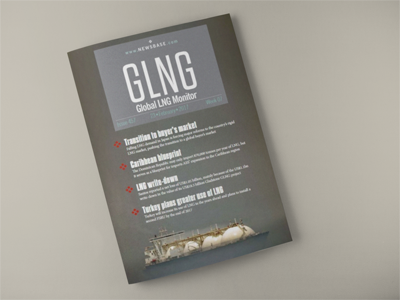 GLNG delivers detailed news and intelligence, as well as expert analysis and commentary, on the latest developments in the global LNG business. Its coverage includes government policy, project developments, investment decisions, shipping news and pricing. Looking for more GLNG articles? Or would you like to find out more about the publication? Keep reading. With significant investment going into LNG export projects in the US, Australia and across Asia-Pacific and continued concerns about gas imports into Europe and Asia, LNG is expanding as a major sector of the global gas market that has attracted super-majors and independent companies alike. With this in mind, success can be lost or guaranteed on the basis of accurate and timely information. GLNG offers readers a macro-view of international LNG news, divided by global region. GLNG is published on Thursdays and also incorporates an extensive News in Brief section. This includes detailed and up-to-date information as it breaks, from various sources across the world. major power companies, investment banks, consultancies, government agencies, law firms, accountancies, academics and economists. Its scope includes news and intelligence, broken down by geographic area to include Africa, Asia, the Americas, Europe and the Middle East. GLNG is a fully digital publication and can be read via PDF, PageSuite or via our NewsBase App. If you would like to try GLNG we can offer you a, no obligation, free trial, giving you a chance to get to know the publication and get hooked on the quality content. No credit card required. Read our most recent GLNG Top Story.